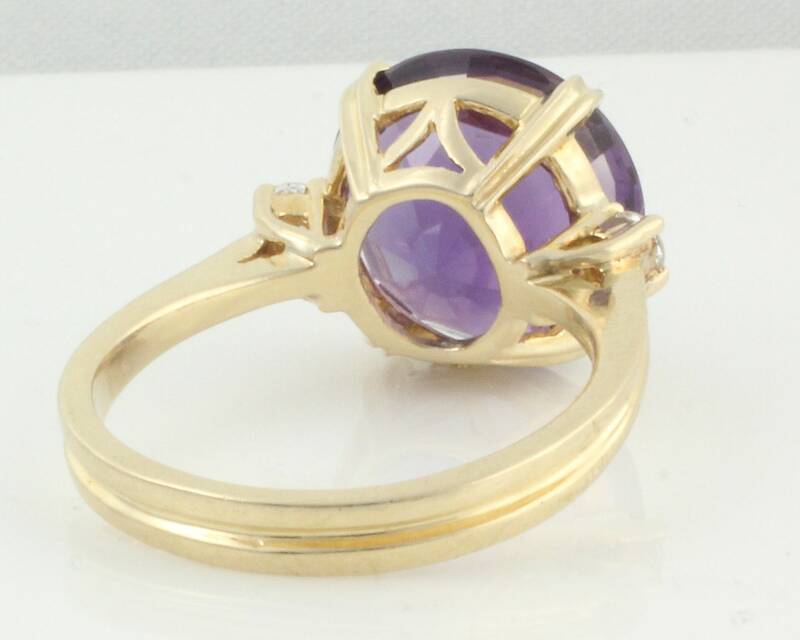 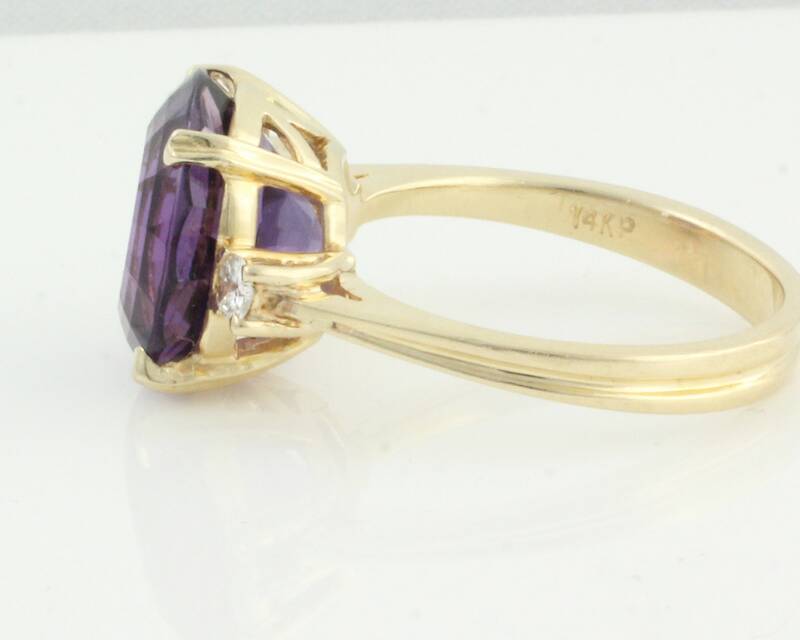 14K Yellow Gold Amethyst and Diamond Ring circa 1980. 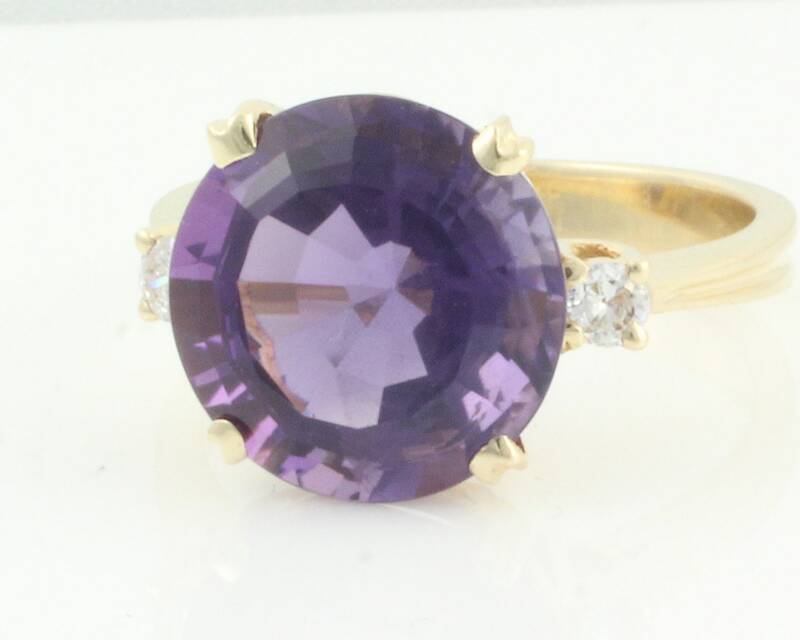 This ring features a 5 carat round natural amethyst with step cut crown, flanked by two round brilliant cut diamonds with a combined total weight of 0.10 carat. 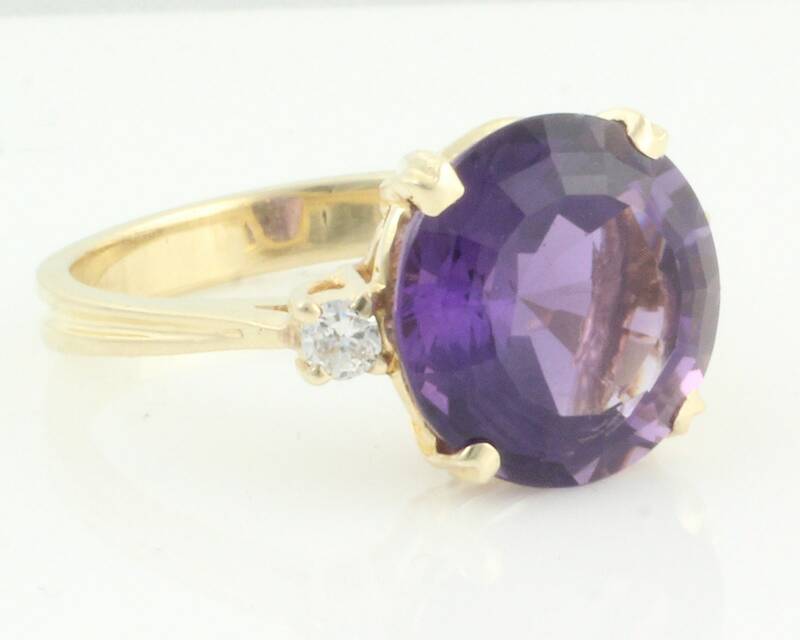 Beautifully detailed gallery.